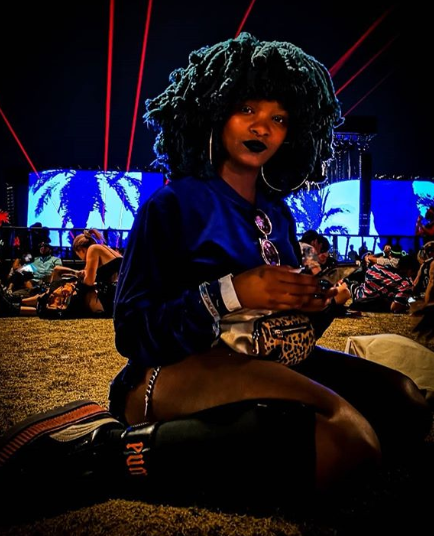 Moonchild Sanelly is living her best life! The bubbly songstress performed at the Coachella Festival over the weekend as part of DJ Diplo’s set. Best known for her iWalk Ye Phara song which she performed live at the festival, the singer gave a stellar performance. The Coachella Valley music and arts festival is one of the widely known festivals in The States. The festival attracts all musicians and is known for its all star celebrity attendance. In 2018, Beyonce was the headlining act for the event and this year it is This is America hitmaker Childish Gambino and a line up full of hit artists. The festival began on the 12th and ends on the 21st of April.